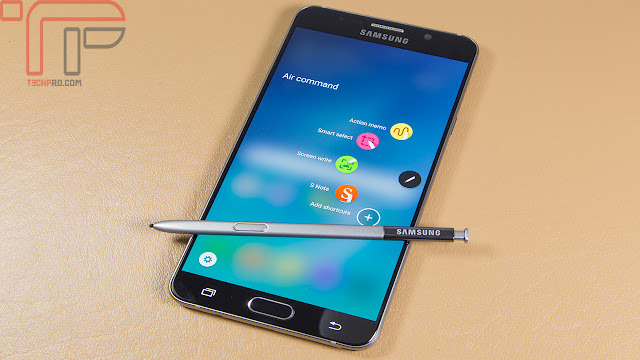 Recently Samsung decide to fix S Pen stuck when a Galaxy Note 5 owner inserted the wrong way. This was actually one of the most common problems in Galaxy Note 5 .Samsung ignore Galaxy Note 5 owners before by saying read the manual stupid then it add more instructions in the packaging . Samsung fix the hardware on its Samsung Galaxy Note 5 so the S Pen will never stuck again by changing a little bit the Galaxy Note 5 design. This news was confirmed by The Verge when the Korean Company told them “Samsung can confirm that the Note 5 internal S Pen mechanism has been changed to avoid the issue caused by inserting the S Pen incorrectly. As always, we recommend following proper instructions for storing the S Pen.”.